Elizabeth lived north of Connersville in Fayette County; in Indianapolis, Marion County; and in New Britton and Noblesville in Hamilton County. 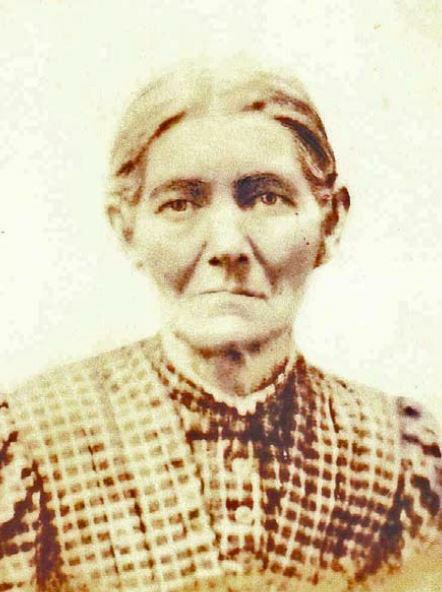 After John Conner died, she lost the large farm and moved to Noblesville, where she did sewing in a shop. In March 1885, she, her second husband, and daughters Nell and Leota went to Lee’s Summit, Missouri. Lavina went to live with her Grandmother Conner in Indianapolis. Hiram went to live with his Uncle Ham in Nebraska. This entry was posted in Fayette County, Hamilton County, Marion County and tagged Ames, Chapman, Conner, Gill, Hanny, Hoelton, Lamoreaux, Lennington, Smith, Whitehead on September 17, 2014 by oahblog. Sarah Caroline Reed lived her entire life in Indiana. She is buried in Washington, Indiana according to the record of her death in Daviess County, Indiana but there is no stone on her grave. This entry was posted in Daviess County and tagged Chapell, Chapman, Devies, Hammersley, Jones, O'Brien, Redyard, Reed, Scaggs on July 14, 2014 by oahblog. The Finch family first came to Indiana in 1814, having moved to Connersville from North Bend, Ohio, where for several years they owned a farm adjacent to that of William J. Harrison. Horatio Goldsmith, as a newborn, moved with his family from Connersville to Horseshoe Prairie, Hamilton County, Indiana, in late August 1819. Just four months prior, Horatio’s uncles, Solomon and Moses Finch, Sr., along with their families had traveled 19 days on foot and by wagon, carving their way along the old “Indian Trail” from Connersville to the “New Purchase” (approximately 60 miles). Immediately following Horatio’s birth, his parents, John and third wife Mehitable, joined their Finch relatives and settled on the fertile prairie land two and a half miles north of William Conner’s trading post—just west of what is now Noblesville, Indiana. Horatio’s father, John Finch, was noted as being an esteemed Judge, a very capable blacksmith, and the builder of the first mill site in Hamilton County. John was the father of 17 children, of which Horatio was the youngest. Horatio studied law as a young man and then moved to California in 1849 during the Gold Rush. According to the California Genealogical Society, both Horatio G. and Mary A. (Casebolt) Finch were cremated at the San Francisco Independent Order of Odd Fellows Crematorium. Their burial place, if any, is unknown. This entry was posted in Hamilton County, Wayne County and tagged Brown, Casebolt, Chapman, Finch, Wreden on July 5, 2014 by oahblog.